A NEW event planning business founded by young entrepreneurs is aiming for the top. 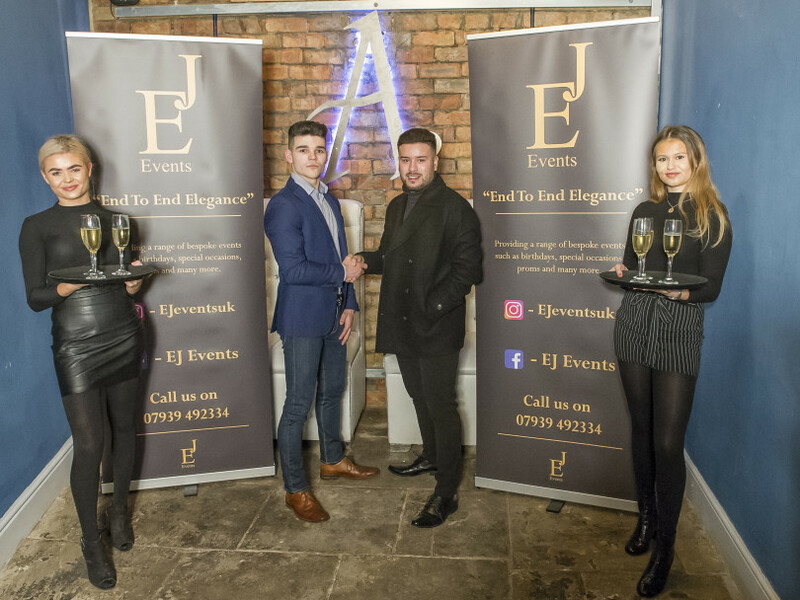 Mirfield-based EJ Events was launched in October 2018 by Joseph Taylor and Elliott Rayne to organise bespoke events – and the entire team is aged under 20. Former Mirfield Free Grammar student Joseph, 19, linked up with friend and St John Fisher old boy Elliott, also 19 to offer ‘end to end elegance’ at their events and also provide opportunities for other young entrepreneurs. They’ve hired two 16-year-old aspiring North Kirklees videographers and marketers, Sam Teale and Niall Kelly. The business also employs six affiliates, all local, that assist with marketing and ticket sales. And last night (Thurs) one of their first major events, a cocktail masterclass at Artisan bar in Mirfield town centre, sold out. EJ Events is building relationships with local businesses and suppliers to help organise birthday celebrations and anniversaries, student events, club nights and corporate functions. “Some people may question our ability and our age,” said Elliott. “We see this as a selling point. “We are versatile and together we support each other. In the future, the co-founders hope to offer support and mentorships to young entrepreneurs that want a kick-start in business in the district. The duo want to share their experience and knowledge with entrepreneurs that are following their own dreams. And EJ Events isn’t the first foray into the entrepreneurial arena for Joseph. He operated a small clothing company at the age of 13 and passed on an opportunity to attend the University of Newcastle in favour of following his business dreams. After meeting entrepreneurs including Karen Brady and Deborah Meaden, he was determined to pursue a career in the hospitality industry. He also went to Tanzania to coach football and volunteer from September to November last year. “My big dream is to expand my business experience, give back to the Tanzanian community I served and most importantly, I want to inspire other young entrepreneurs to follow their passions and dreams,” he said. For more information visit www.ejeventsuk.co.uk or connect with EJ Events on Instagram, Facebook and Snapchat.